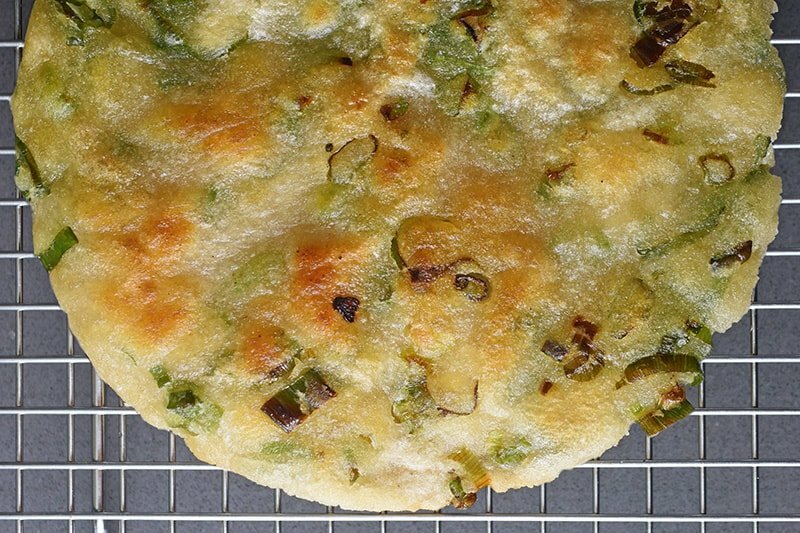 Are you ready to fry up a batch of paleo scallion pancakes? 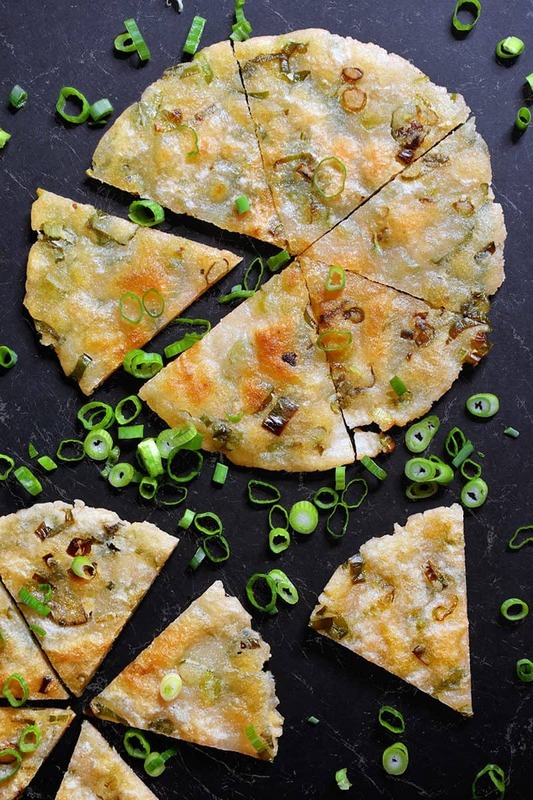 Never heard of scallion pancakes? 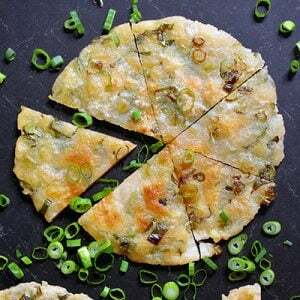 You may know them as green onion pancakes, or chong yao beng (葱油饼). 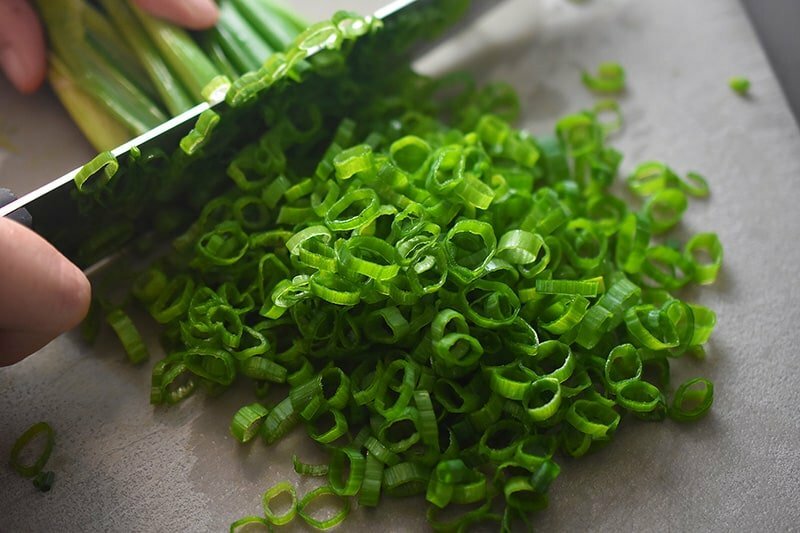 These irresistibly crispy-on-the-outside, chewy-on-the-inside flatbreads are folded with minced scallions and sesame oil, and then cooked on a pan or griddle. They’re unleavened, and unlike the pancakes you order at IHOP, they’re savory and made from dough—not batter. 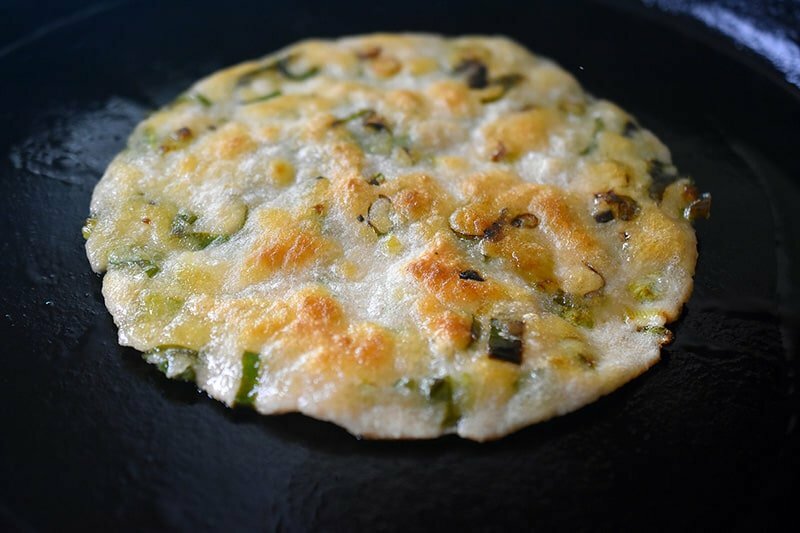 Served both as a restaurant dish and a street food snack, scallion pancakes are usually eaten with breakfast. To be honest with you, I’ve been dying to make these for a while now, but something’s always held me back. I think I was afraid I wouldn’t ever be able to make a paleo version of scallion pancakes that does justice to the real thing. It took some elbow grease and a lot of experimentation, but these savory, crispy fried pancakes are pretty much indistinguishable from the ones I used to order at my favorite Mandarin breakfast joints in my pre-paleo days—only mine are grain-free, egg-free, nut-free, and fried in good fats. 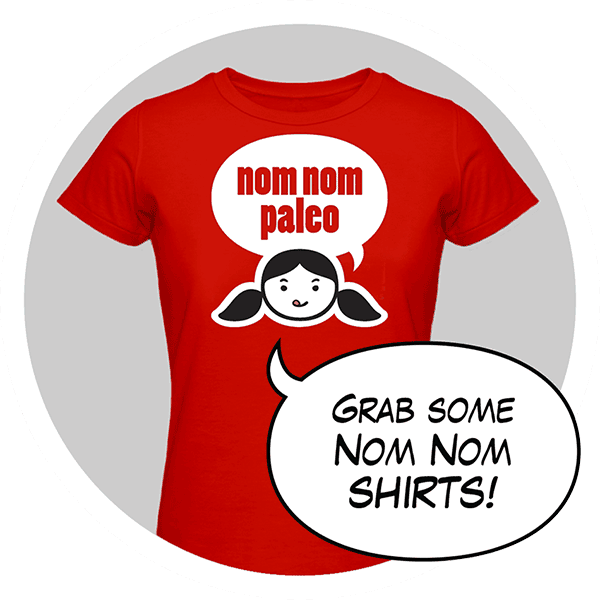 (They’re vegan, too!) 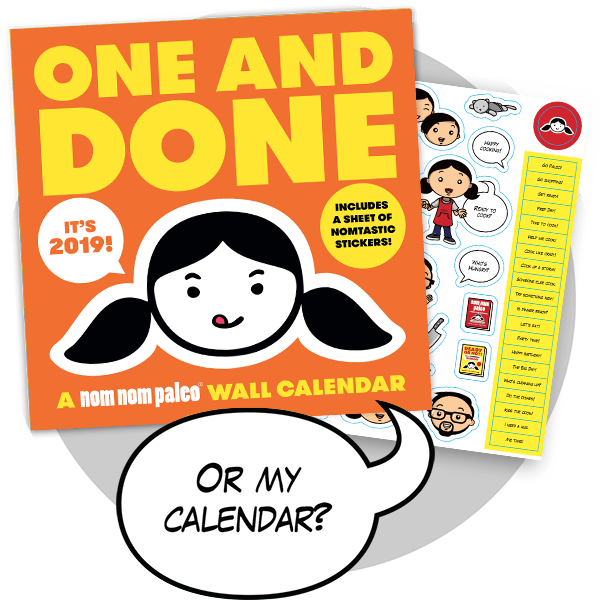 But don’t just take my word for it; these paleo scallion pancakes got huge thumbs up from both Ollie (my picky younger son) AND my discerning and oh-so-blunt parents. My dad’s only feedback: Don’t skimp on the scallions, eat these pancakes while they’re piping hot (so the crunchy texture isn’t compromised), and enjoy them with a mug of strong Chinese tea so it helps aid with digestion. Thanks, Pop! 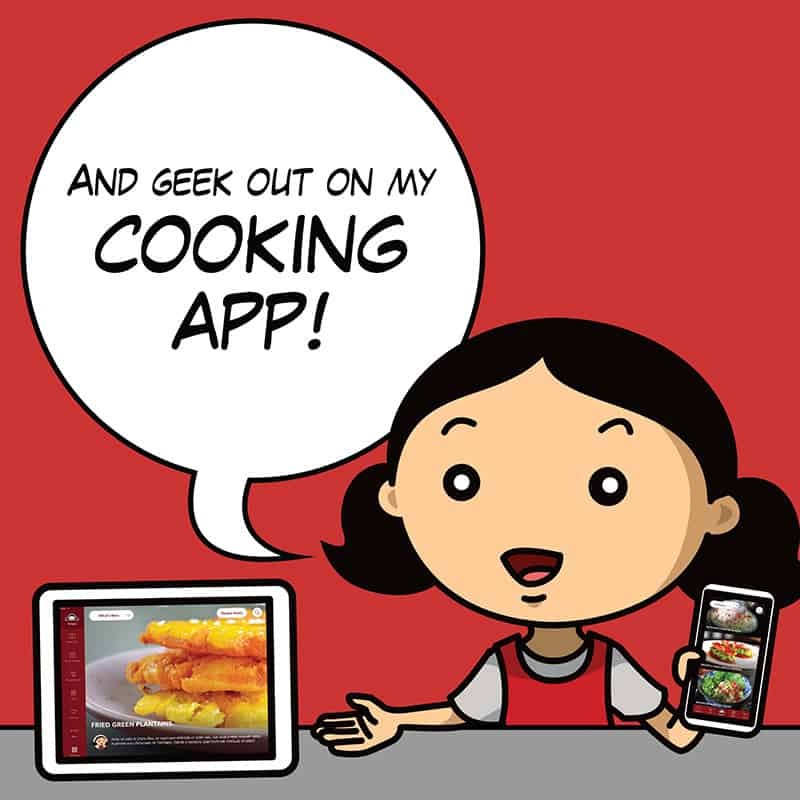 This recipe uses cassava flour, which is not the same thing as tapioca flour/starch, and arrowroot powder, which is starch extracted from the roots of the arrowroot plant. 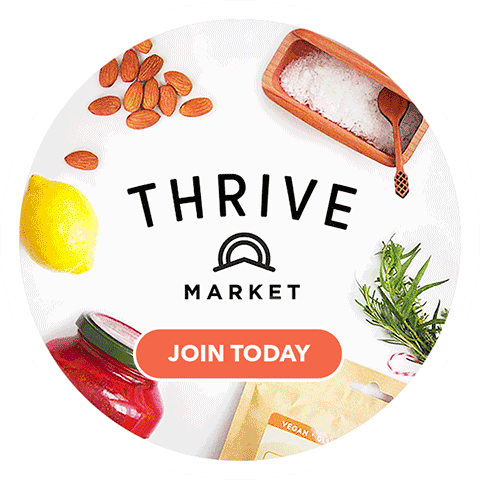 You can read more about cassava flour here, and about arrowroot powder here. And by the way, I definitely recommend using a kitchen scale to measure out the flours for consistency! 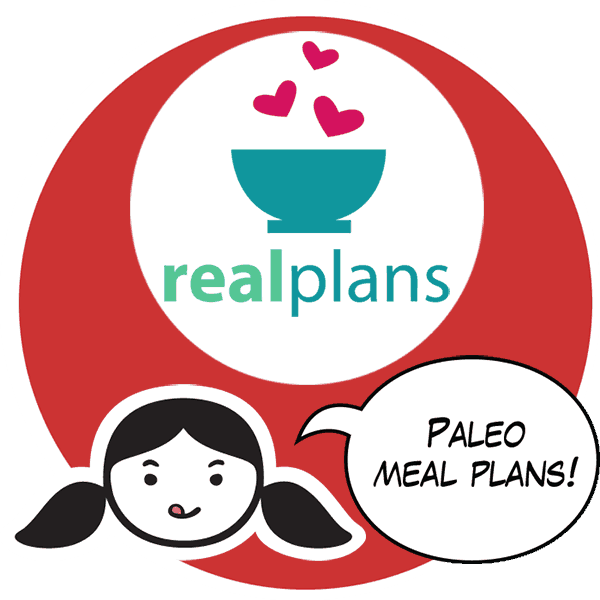 A caveat: As I mentioned in my Paleo Curried Meat Pies recipe, I’m no paleo baking expert. 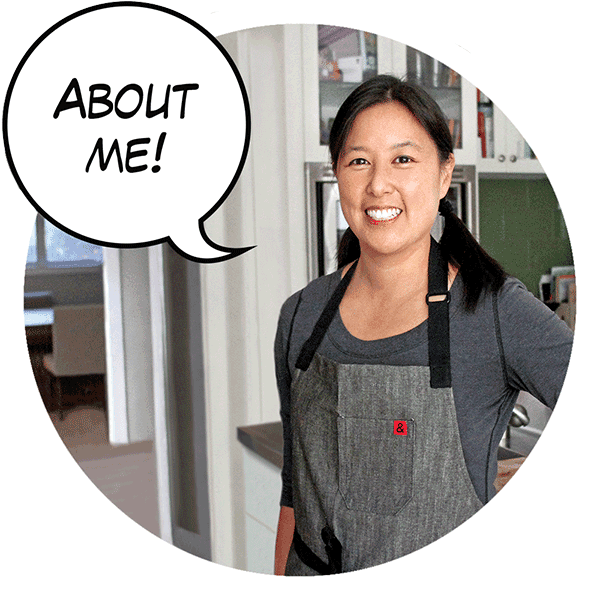 So before you ask: I have no idea what happens if you substitute another flour for the cassava flour or arrowroot flour. If you successfully experiment with other flours or fats, please let us all know in the comments so we can benefit from your experience! 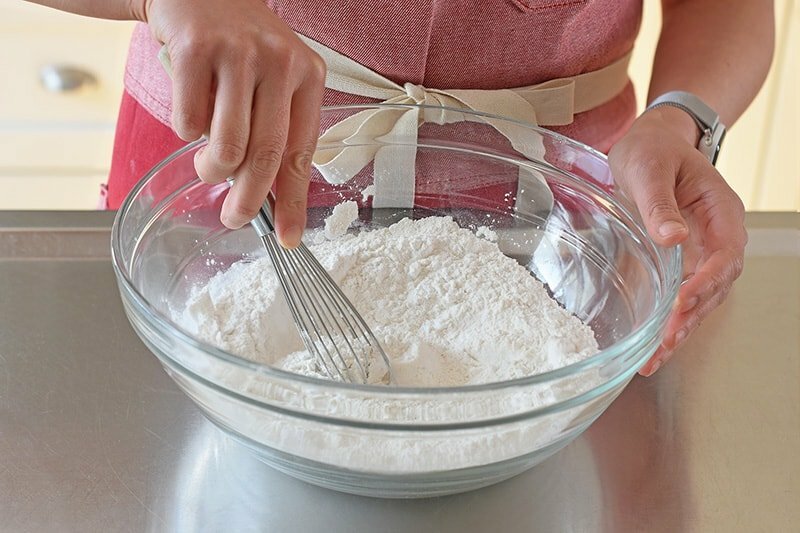 Measure out the cassava flour, arrowroot powder, and 1 teaspoon of Diamond Crystal brand kosher salt into a large bowl. 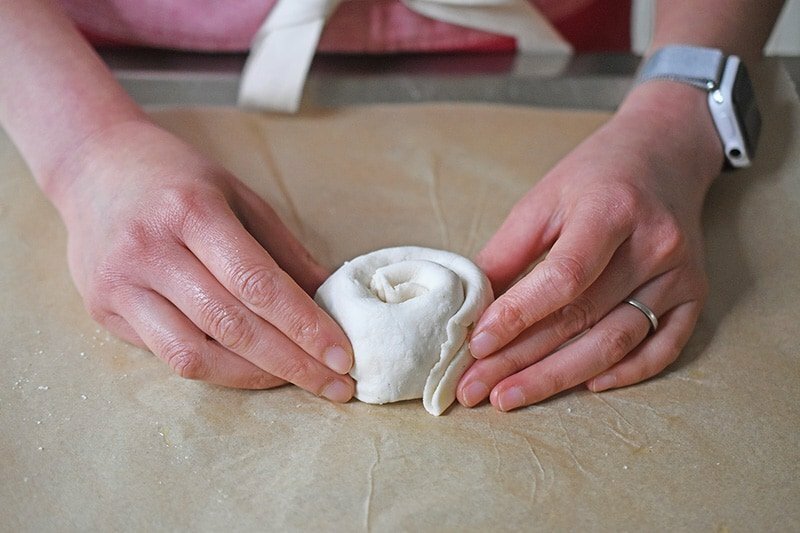 …until you form a spring-y, not-sticky dough. 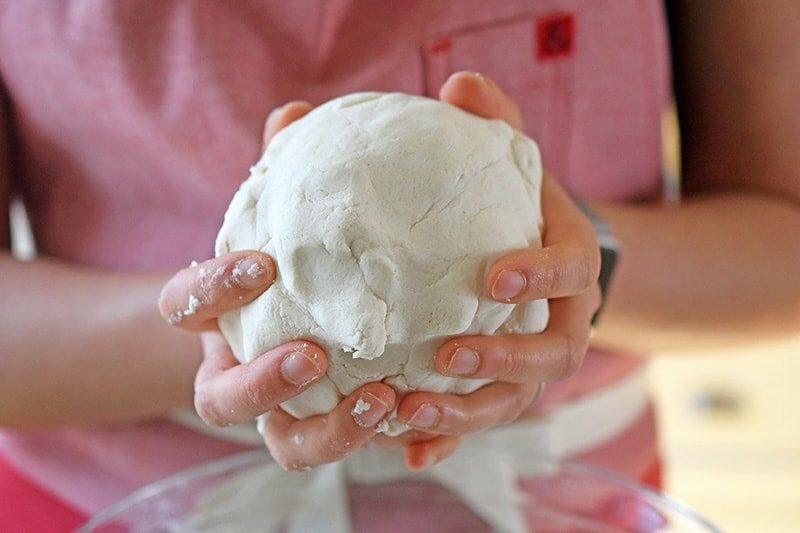 If it seems extra dry, add a touch more water, but watch out—you don’t want a wet, soft dough, or you’ll have trouble working with it. If it gets too wet, knead in a bit more cassava flour. Divide the dough in half, and then in half again. Next, divide the dough in half one more time. If you followed my instructions correctly, you should end up with 8 equal-sized portions. Roll ’em into balls with your hands. Grab one dough ball, making sure to keep the rest of the balls covered. 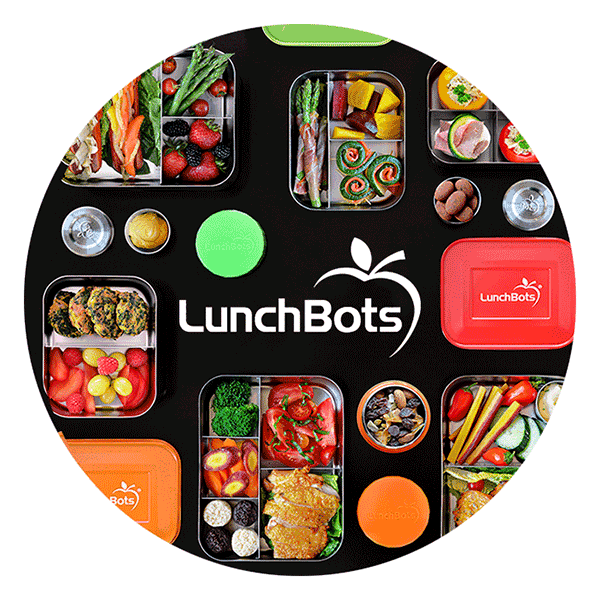 (I just pop a silicone lid or damp kitchen towel over the bowl.) 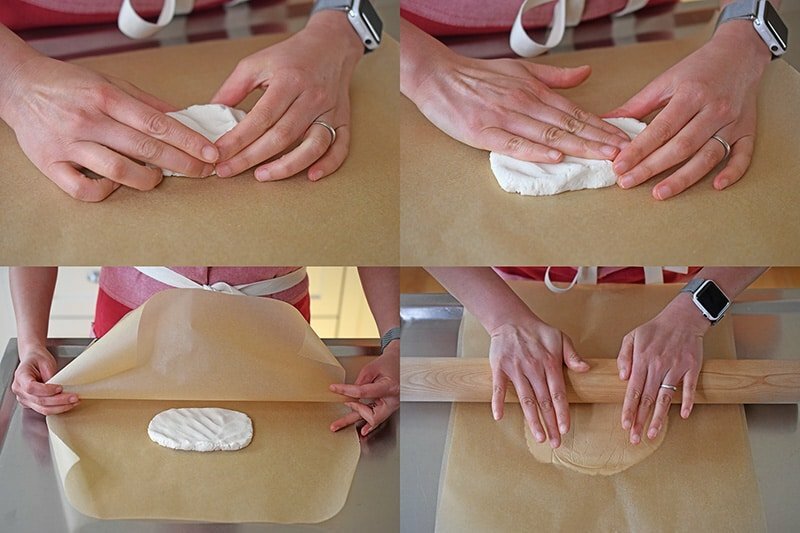 Smush down the piece of dough with your fingers, and then flatten it between two pieces of parchment paper. 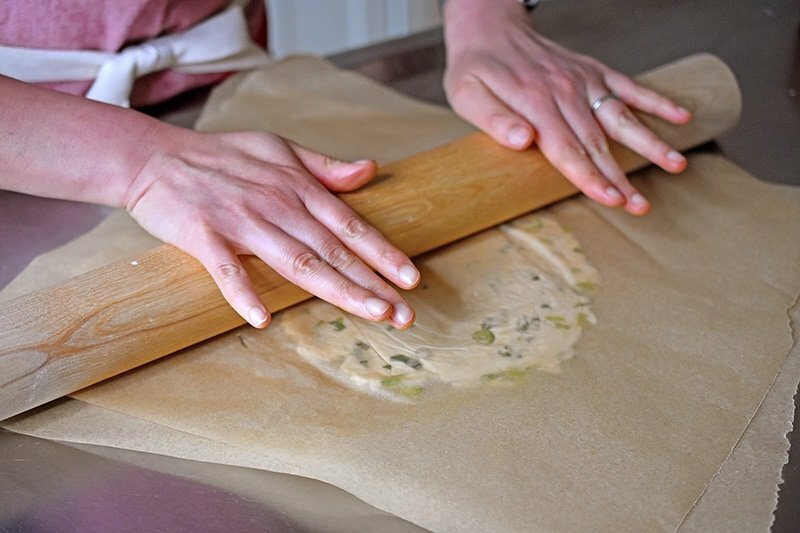 Use a rolling pin to flatten it until it’s very thin—about ⅛-inch. Brush on a thin layer of toasted sesame oil. 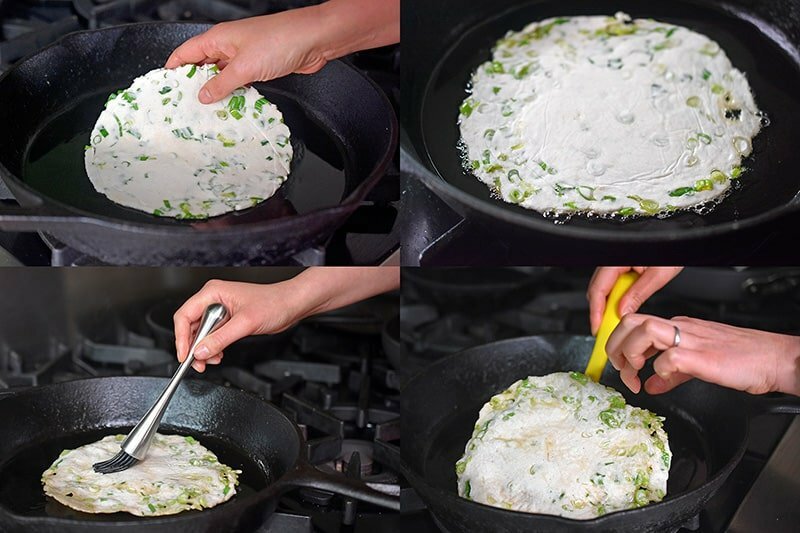 Add ¼ cup of the minced scallions in a single layer to the flattened dough. Sprinkle on some salt as well. 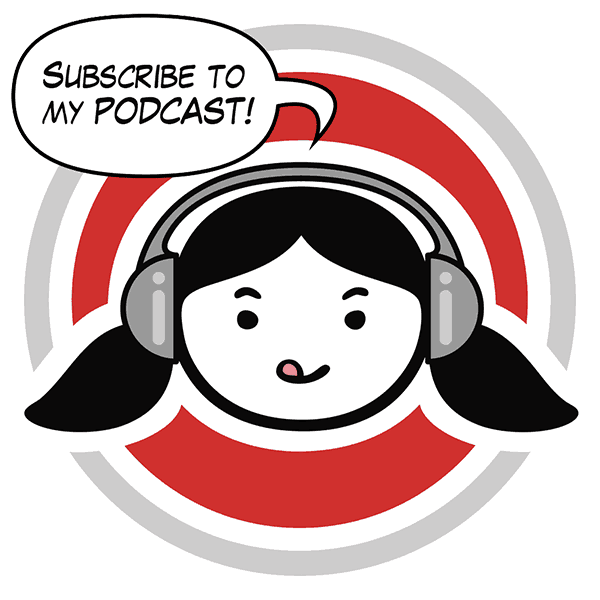 …until you end up with something that kinda looks like a pinwheel or a cinnamon bun. 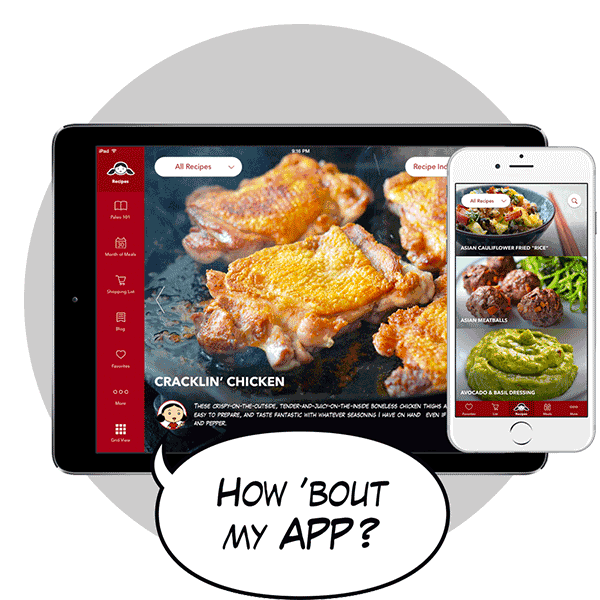 …or roll it out by hand with a rolling dowel. 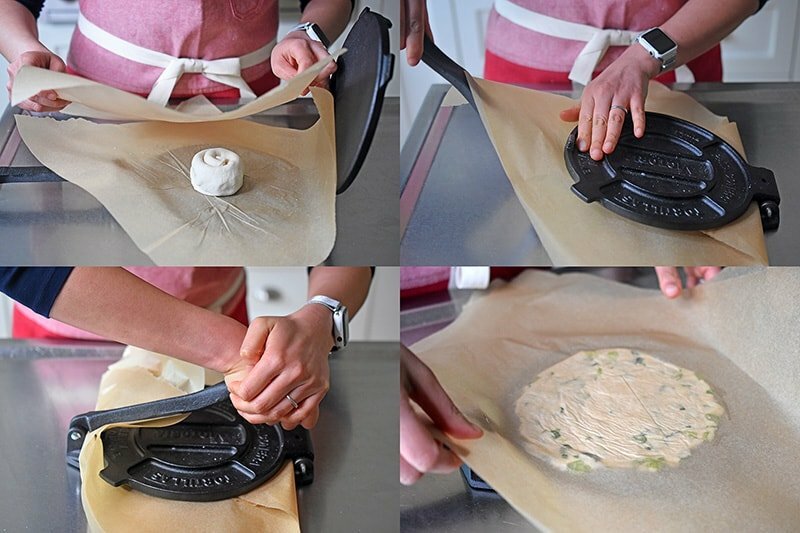 I usually do both: I smush mine with a tortilla press and then roll it out even thinner with a rolling dowel ’cause I like my scallion pancakes extra crispy. Repeat with the remaining dough balls and roll out as many as you feel like serving. Place a large skillet over medium heat. Once the pan is hot, add enough fat so it covers the bottom of the pan. 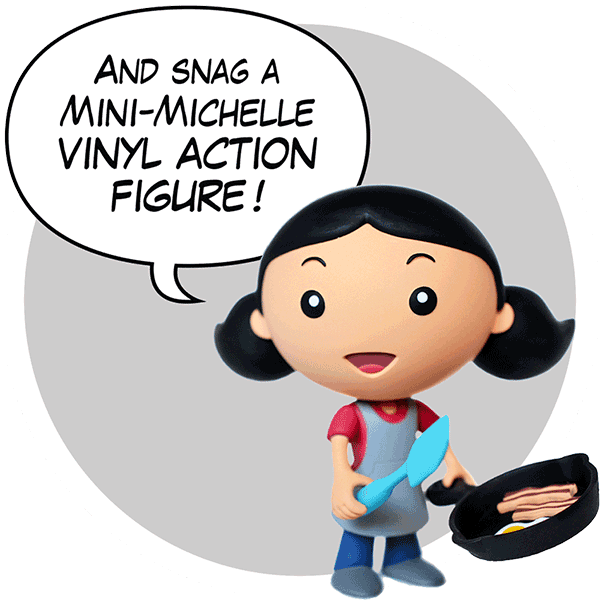 Carefully transfer a pancake to the pan and cook for 5 minutes on one side (or until nicely browned). Right before you’re ready to flip it, brush on some hot oil on the un-fried side. Then, fry on the other side for about 3 minutes or until crispy and browned. Transfer the cooked pancake to a wire rack to cool a bit while you fry up more cakes. Don’t wait too long before cutting and eating. As my pop said, serve these pancakes while they’re warm, and with some strong hot tea! If you want to make the dough ahead of time, you can form the “cinnamon buns” and wrap those up individually (with plastic wrap or parchment paper) and store them in a freezer bag for up to 4 months. Thaw the “buns” in the fridge overnight and roll them out before frying. The frozen uncooked pancakes are pretty delicate, so it is best to roll them out right before you fry them. 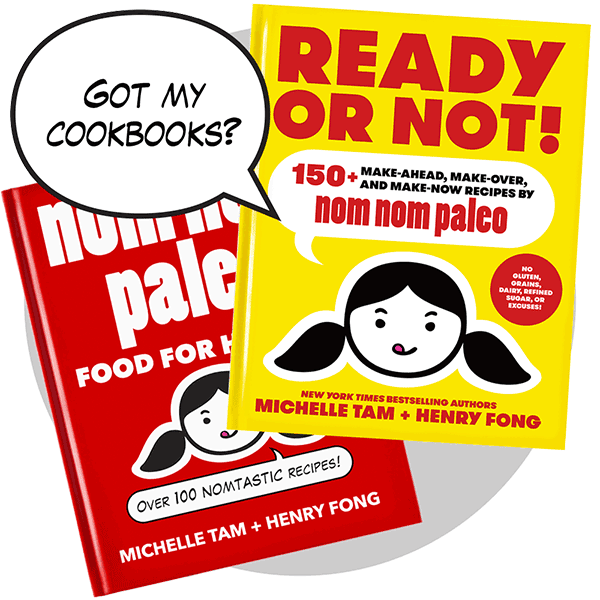 Still not sure how to make these Paleo Scallion Pancakes? Watch me and Ollie make ’em on Facebook Live! 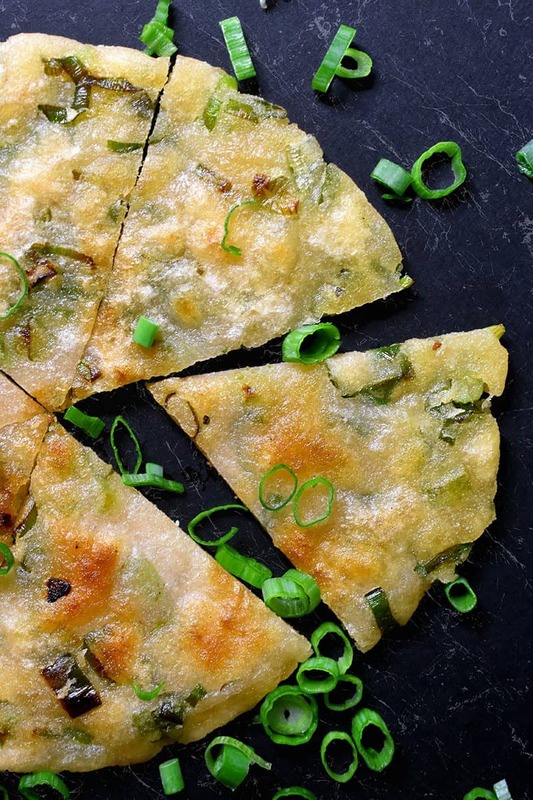 These paleo scallion pancakes are pretty much indistinguishable from the ones I used to order at my favorite Mandarin breakfast joints—only mine are vegan, grain-free, egg-free, nut-free, and fried in good fats! 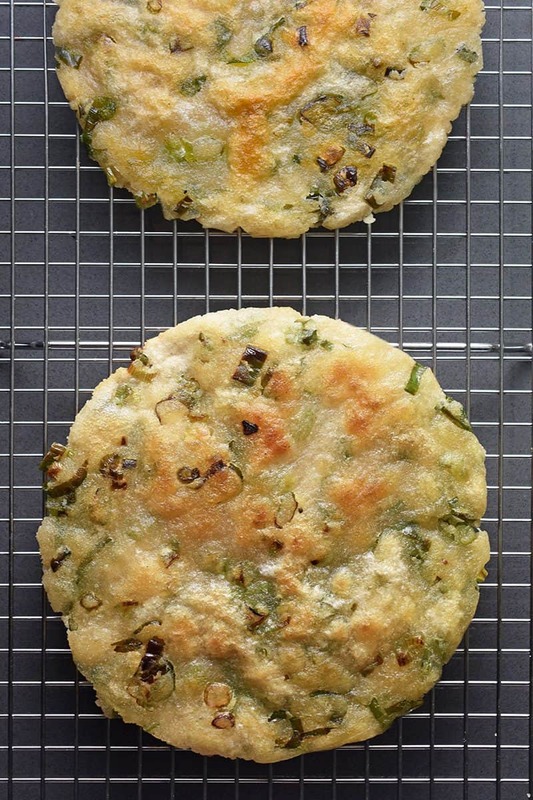 These crispy-on-the-outside, chewy-on-the-inside flatbreads filled with minced scallions are delicious! 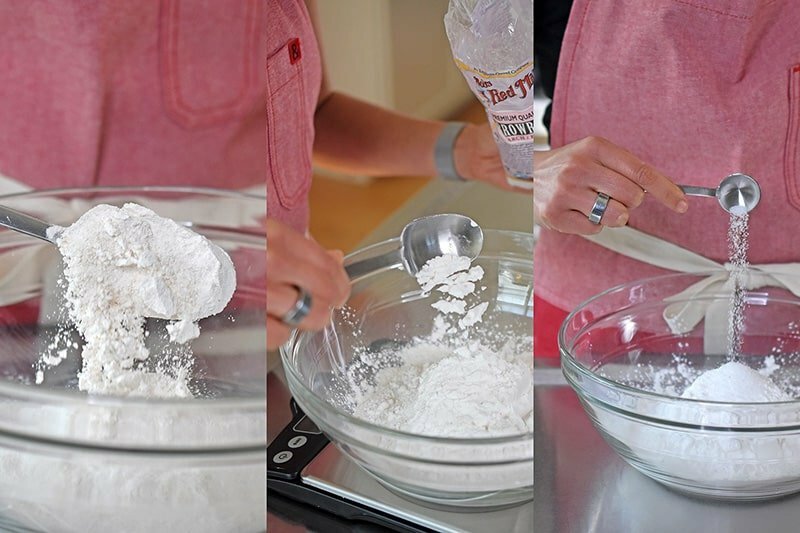 Measure out the cassava flour, arrowroot powder, and 1 teaspoon of Diamond Crystal brand kosher salt into a large bowl. Whisk well to combine. Add about 1 cup of the boiling water and mix well with a spoon (or your hands if your nerve endings are gone like mine). Slowly add the rest of the boiling water and knead well until you form a spring-y, not-sticky dough. 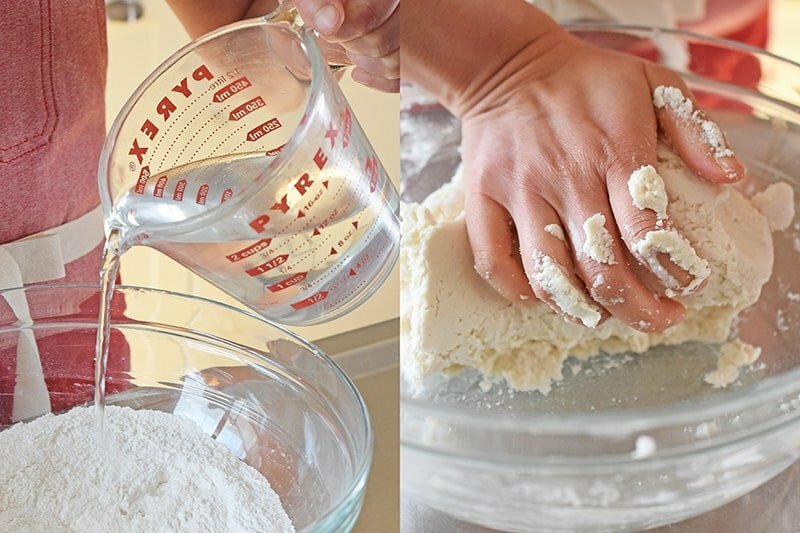 If it seems extra dry, add a touch more water, but watch out—you don’t want a wet, soft dough, or you’ll have trouble working with it. If it gets too wet, knead in a bit more cassava flour. Brush on a thin layer of toasted sesame oil. 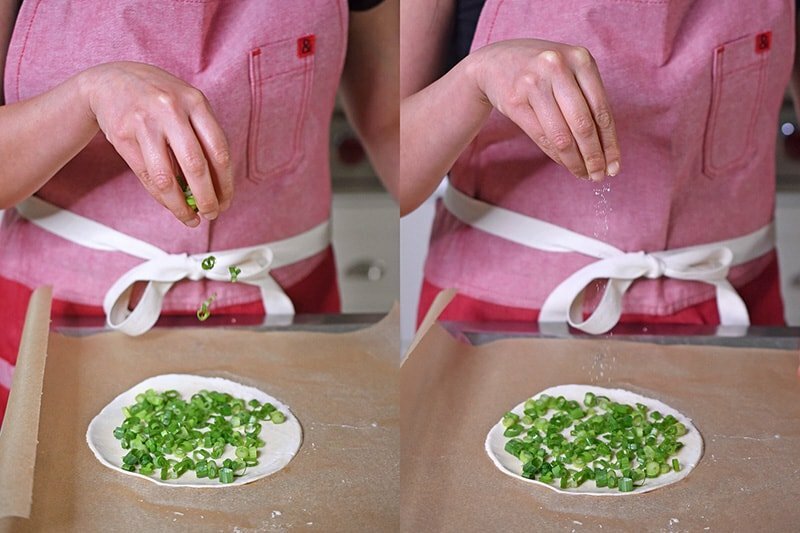 Add ¼ cup of the minced scallions in a single layer to the flattened dough. Sprinkle on some salt as well. Carefully roll the dough up into it looks like a scallion cigar. Then, take one end and tuck it in. Coil the cigar around until you end up with something that kinda looks like a pinwheel or a cinnamon bun. 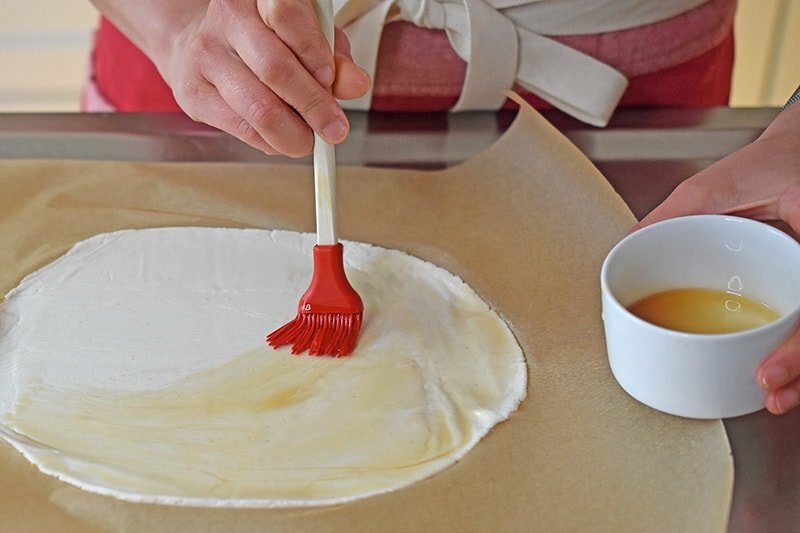 Place the “cinnamon bun” between two pieces of parchment paper, and either flatten it into a thin circular pancake with a tortilla press (which helps give your pancake a nice circular shape) or roll it out by hand with a rolling dowel. 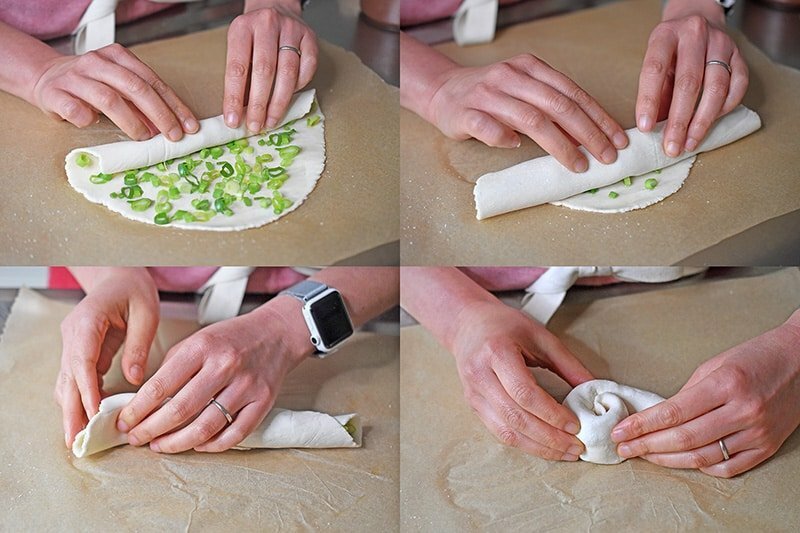 I usually do both: I smush mine with a tortilla press and then roll it out even thinner with a rolling dowel ’cause I like my scallion pancakes extra crispy. 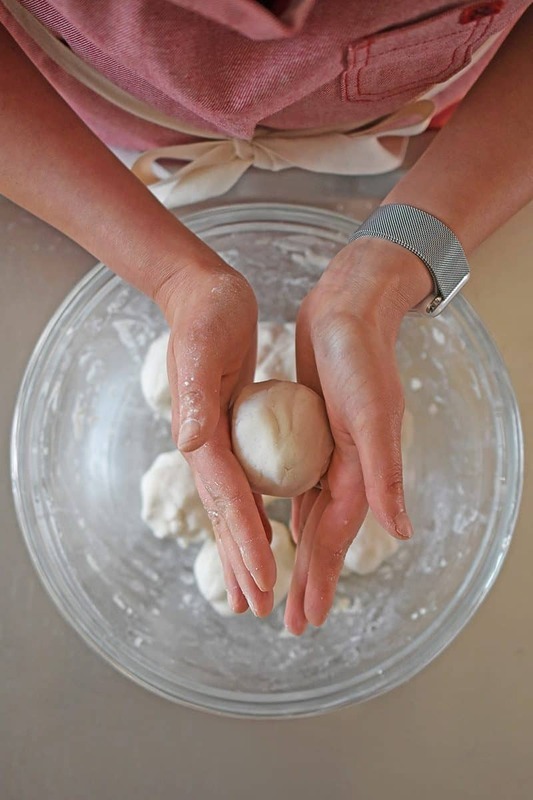 Repeat with the remaining dough balls and roll out as many as you feel like serving. Place a large skillet over medium heat. Once the pan is hot, add enough fat so it covers the bottom of the pan. Carefully transfer a pancake to the pan and cook for 5 minutes on one side (or until nicely browned). Right before you’re ready to flip it, brush on some hot oil on the un-fried side. Then, fry on the other side for about 3 minutes or until crispy and browned. If you want to make the dough ahead of time, you can form the "cinnamon buns" and wrap those up individually (with plastic wrap or parchment paper) and store them in a freezer bag for up to 4 months. Thaw the "buns" in the fridge overnight and roll them out before frying. The frozen uncooked pancakes are pretty delicate, so it is best to roll them out right before you fry them.